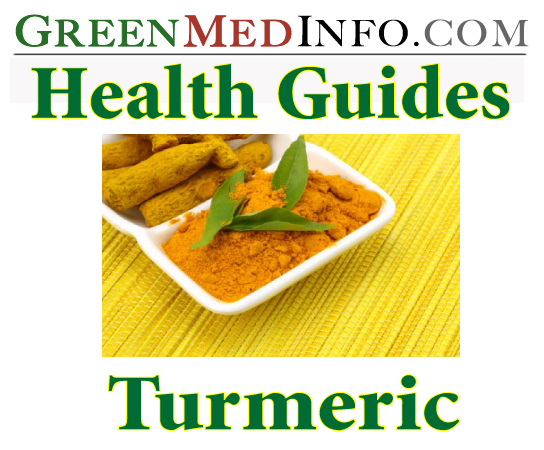 The GreenMedInfo Turmeric Health Guide centralizes all our relevant first-hand biomedical research on turmeric's therapeutic properties, as well as brings together in one spot all our in-depth articles and analyses of this herb's remarkable health benefits. Key: CK(#) = Cumulative Knowledge, a measure of evidence quality or strength AC(#) = Article Count, the number of articles that have accumulated on the topic thus far. Molecular mechanisms underlying curcumin-mediated therapeutic effects in type 2 diabetes and cancer. Increasingly, science is validating the therapeutic value of spices to prevent and treat disease, including for conditions as serious as lethal brain cancer. Could turmeric extract become the next "aspirin" in the ongoing effort to prevent heart disease? It’s estimated that 100 million Americans live with chronic pain, but pain-killers can have serious side effects. Here's why turmeric may provide an ideal alternative. Despite no evidence of its effectiveness to prevent disease, public health agencies and the medical community insist that infants and children between the ages of 2 and 12 months require up to four shots of the Pneumococcal Conjugate Vaccine (PCV). Now new research finds a substance in turmeric, curcumin, may outperform the vaccine in providing long lasting protection against potentially deadly lung damage in infants. The turmeric compound curcumin has been found to inhibit a number of significant viruses, including zika virus, hepatitis, herpes, chikungunya virus, influenza-A, HIV and HPV. Prescription drugs kill nearly fifteen times as many Americans per year than the casualty toll of domestic terrorist attacks from over thirteen years combined, but still natural alternatives are suppressed and maligned despite a growing body of evidence supporting their far greater safety and efficacy. It has been established that inflammation is a root cause for multiple diseases in western society. Unfortunately, the Standard American Diet as well as poor lifestyle choices contribute to the wide-spread presence of inflammation in the population. However, we may only need to turn to our kitchens to help reduce this inflammation and therefore hopefully prevent some of the most harmful diseases that are born from inflammation running ramped in the body. These evidence-based botanical medicines proven to induce or maintain remission in the debilitating inflammatory bowel disease known as Crohn’s offer hope to those resigned to a fate of life-altering immunosuppressive drugs or surgery.